Dawn (Fant) Fleurizard is a graduate of the class of 1989. Originally from Queens, New York Dawn attended Lincoln University following in her aunt’s footsteps. She attended Lincoln University between 1985 and 1989 where she completed a Bachelor of Arts degree in Chemistry. During her matriculation at Lincoln University Dawn was active in student government eventually becoming senior class president. She took this role seriously as she has acted as a class representative for every reunion since graduation. Dawn was also a member of the concert choir and ACS (American Chemical Society). Upon graduating from Lincoln, she returned to her hometown of New York where she worked as a Community Health Educator. During this time, she volunteered with organizations such as Youth at Risk, she organized friends to tutor junior high school students in danger of failing their standardized test and she taught at the Science Skills Center. While she enjoyed her work, she missed the “hard” sciences and went off to Greensboro, North Carolina to get her Master of Science in Chemistry from North Carolina Agricultural and Technical State University. Dawn has been a financial member of the Greater Carolinas Chapter and the National Alumni Association since her return to North Carolina in 2012. As a member of the chapter, she has shown her dedication by driving an hour and a half to the monthly meetings and chapter events. She has been the membership chair for the chapter and supported membership drives for the National Alumni Association at events such as CIAA. She has been the College Fair Chair, 2nd Vice President and is currently the 1st Vice President. 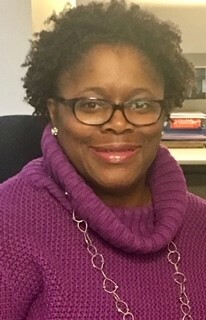 Outside of Lincoln alumni activities Dawn has been a member and held leadership positions in the local chapters of the American Association of University Women (Treasurer, College Liaison) and National Society of Black Engineers (President). Dawn has also served as PTA Vice President and President at her son’s High School. Under her tenure as president, she helped her son’s school win $25000. Dawn is a proud mother and stepmother of four children. She has been an engineer in the semiconductor industry for over 20 years where she has been required to lead cross-functional teams both domestically and internationally. 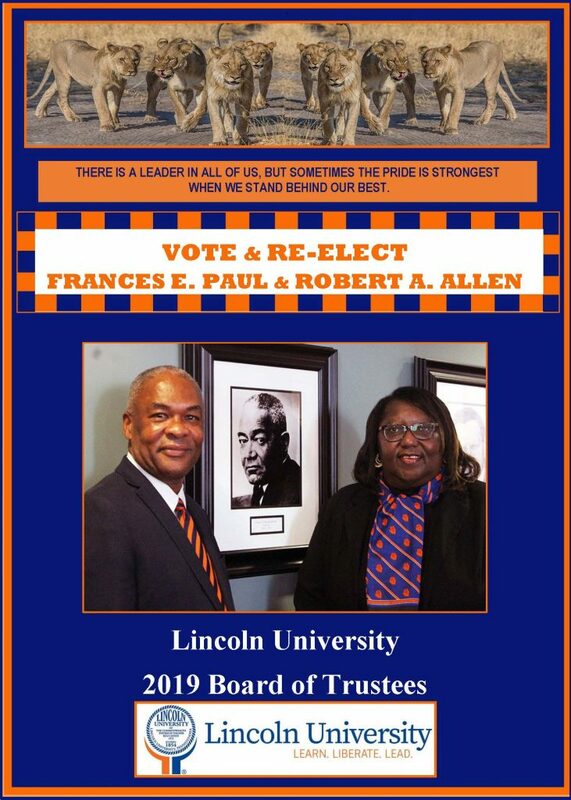 She believes her love for Lincoln combined with her work and volunteer skills makes her a strong candidate for the office of President for the National AALU. Justin Lewter is presently employed at North Carolina Agricultural and Technical State University. He is the Development Director for the College of Agriculture and Environmental Sciences, and the College of Education. Justin is a proud product of Queens, New York. He graduated from the High School of Art & Design in 1989 and went on to receive his BA in History at Lincoln University in Pennsylvania. He began his professional career as a teacher in Brooklyn, New York. It is here where he claims he received his “real” education. As an educator, he instructed students in Social Studies and Art, as well as coached football & softball, offered after school tutoring, and mentored young men in local basketball camps. In 1996, he married and relocated to Durham, NC. 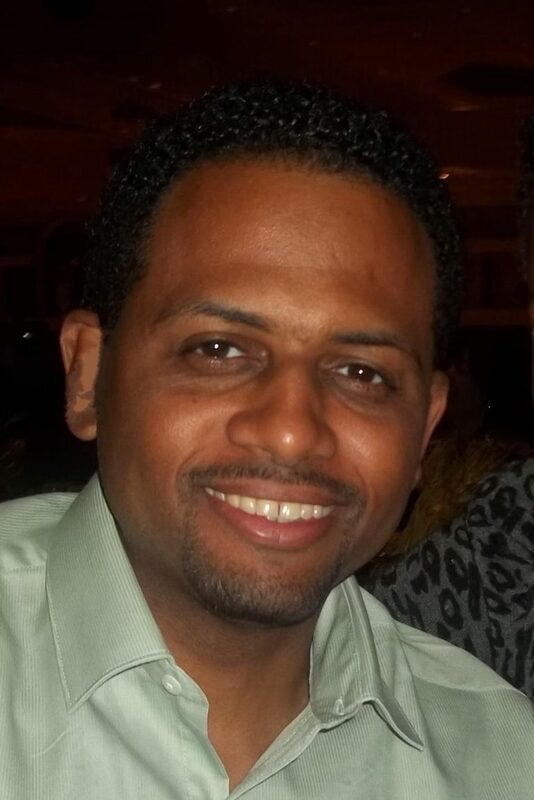 Still dedicated to working with young people, Mr. Lewter worked as a Youth Advocate for a regional nonprofit network focused on educating disadvantaged youth about global Social and Economic Justice issues. Through this position, in 1997 he was given the opportunity to chaperone a North Carolina delegation of youth to an International Leadership Conference in Havana, Cuba. Justin and his new family eventually moved to Greensboro, NC to pursue more specific, personal and professional goals. There he served as the director of a local Boys and Girls Club until 1999. Justin then moved on to a position with the Boy Scouts of America with the Old North State Council; and in 2002 he was promoted to the Director of Scoutreach, in Charlotte. He published Why Scouting Works for Black Boys in 2007 and was promoted to Exploring Director. Before leaving the Boy Scouts of America in 2017, he served briefly as Southern Region Exploring Director at the national headquarters of the BSA. Mr. Lewter has spent much of his professional life serving youth as a teacher, counselor, mentor, confidante and friend. From New York City to Greensboro, and Charlotte to Dallas, Mr. Lewter has sought to positively impact the lives of the youth and families he’s encountered. For all of his professional efforts and accomplishments he is most proud of his life as a husband of twenty two years to Kim; and as a father of four: his son, Nile and his three daughters, Jaiya, Jela and Jasmine. Rita McCaskill is a Lincoln University Graduate of the class of 1991 earning a Bachelor’s of Science Degree in Business Administration. She is a New York City “Harlem” native; US Army Reserve veteran serving more than 20 years and over 18 years as a Budget Analyst for the federal government. Rita used her varied federal career experience to develop and hone the necessary skills needed to become a successful Budget Analyst. In an effort to maintain the momentum to ensure a large reunion turnout for her 20th year class reunion, Rita jumped in and assumed the role of class representative relieving her classmate for that year. Rita joined forces with Darlene the class representative of the class of 1986 to make her class reunion a memorable one. In 2015 and 2016 Rita joined the AALU Alumni Summit, Life Member Banquet & Awards Ceremony Fundraiser Event committee. Her combined passion for helping others and professional talents have afforded Rita the expertise to excel as a member of the Registration and Housing committees. In 2017, Rita dedicated her time once again to the AALU Alumni Summit, Life Member Banquet & Awards Ceremony where she served alongside as Housing Committee Chair for the event while assisting with registration. Her meticulous attention to detail made the housing and registration piece flow seamlessly. She ensured every alum was treated with LU Pride. Her Business savvy skills have been instrumental in assisting the current AALU Treasurer and serving as the Membership Chair. 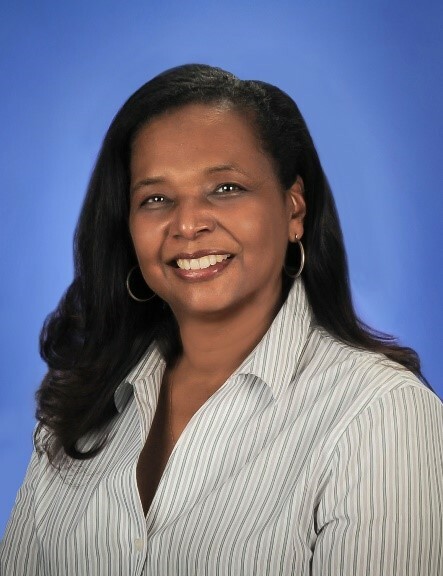 It is the love and admiration for her fellow alumni and Lincoln University that keeps Rita intertwined with all things for the love of Lincoln, and work to ensure our Lincoln Cubs can receive scholarship assistance. Rita continues to do her part by encouraging all young people to the gates of the first Historically Black University and most prestigious institution, Lincoln University to become a great leader/legend.